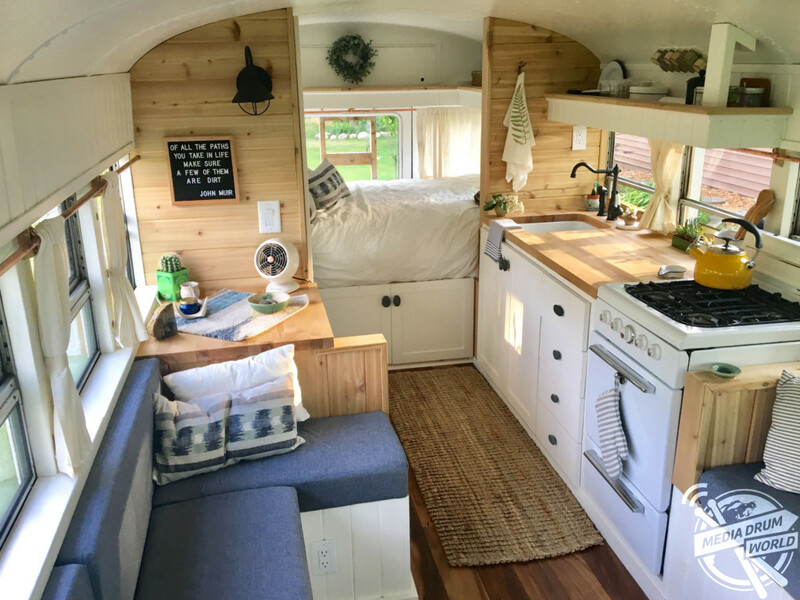 MEET the couple who have transformed a 24-foot American school bus into a stunning home on the road called Fern. 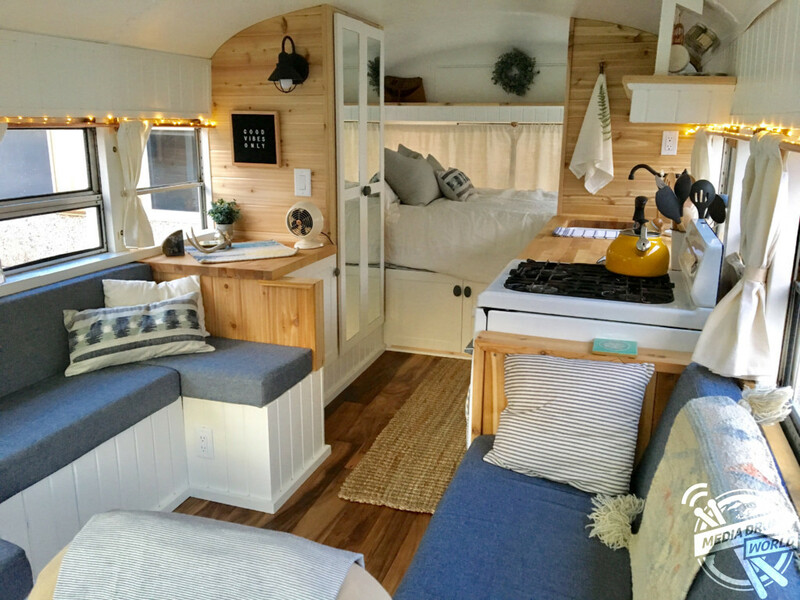 Envy-inducing pictures and video show husband and wife team, Ben (29) and Mande Tucker (28) from Holland, Michigan, USA ripping out the seats and building a stylish living area in their 1992 international bus and giving her a fresh lick of paint. Other incredible shots show the pair relaxing on the roof of their bus in hammocks, posing in their outdoor shower room and taking part in a hike. 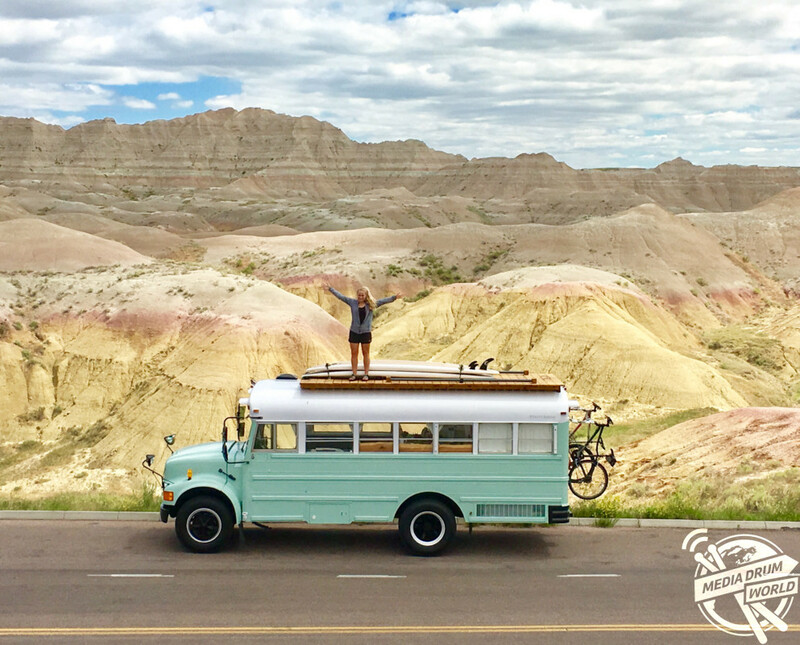 “Several years ago, I renovated and retrofitted a school bus with two of my best friends to fit the lifestyle we were living. 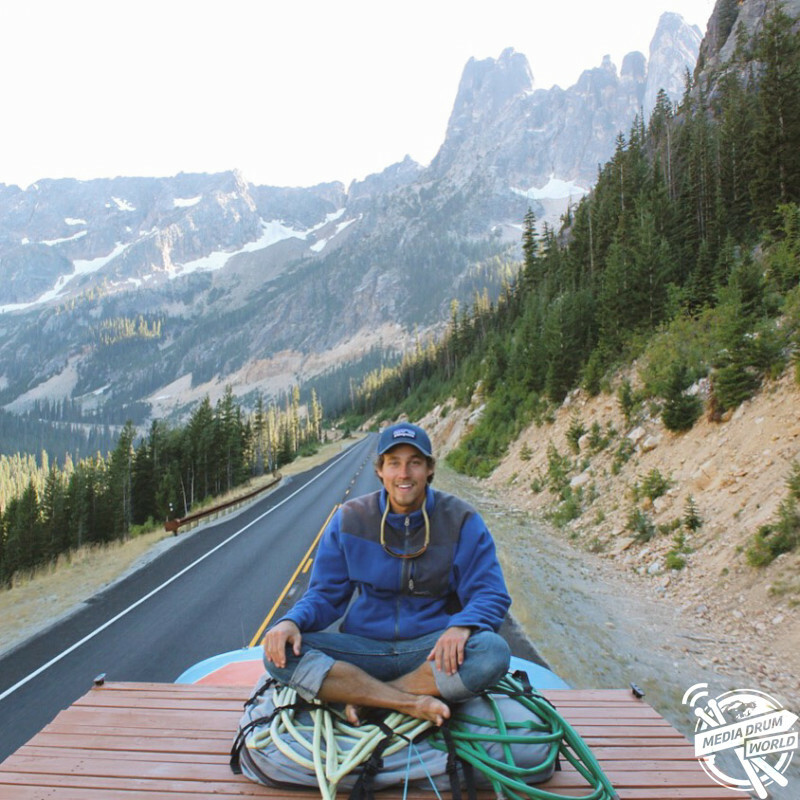 We called it The Lost Bus, LOST is an acronym for Lending Our Services Travelling and spent a year and a half volunteering across the country, meeting wonderful people and finding adventure along the way,” said Ben. 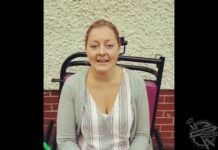 “Ever since, I dreamed of a similar journey with Mande. 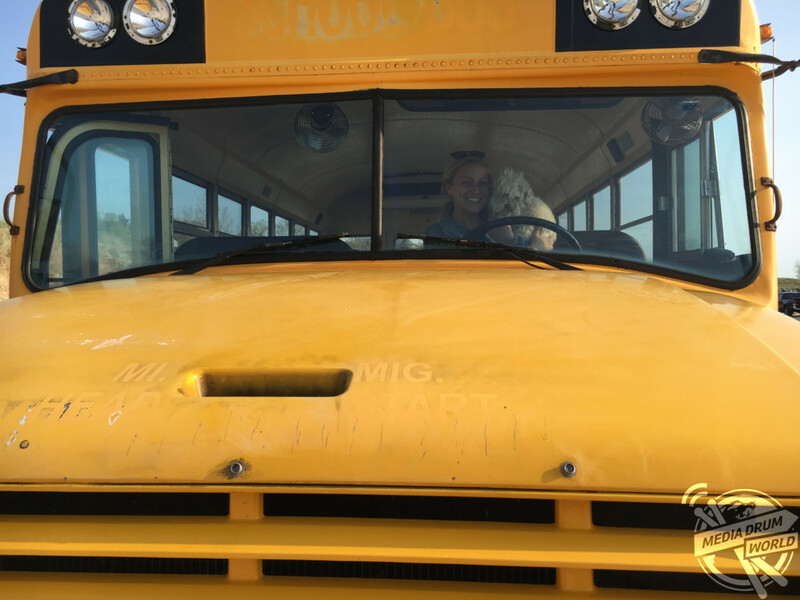 When we found a 24-foot school bus in excellent condition with low miles, we jumped at the opportunity. “In a small space, you’re more tuned in with nature. We adapt to the natural rhythms of day and night and the mood of the weather. 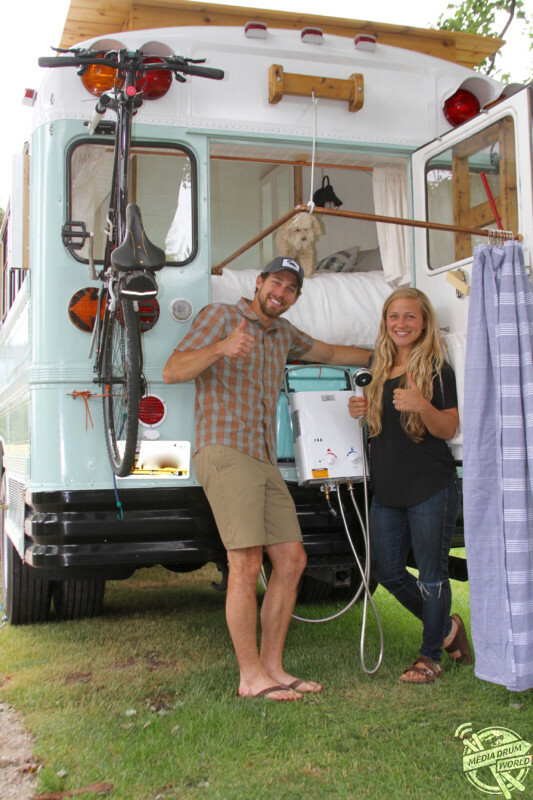 “Living out of our bus, we’re a bit more impacted by the rainstorms and wind gusts, the heat waves and cold snaps. For the most part, this is an absolutely positive thing. The pair have clocked up 4,000 miles so far and are currently in Ogden, Utah. They plan to make their way through Wyoming, Idaho, Montana, ending up in Canada. So far, they’ve had no problems on the road but will continue with Fern’s renovations while on the move. “Taking life on the road is our way of breaking out of routines and habits and shifting momentum in a new direction. Comfort can lead to complacency, but adventure is deliberate,” added Ben. “We want the road to heighten our awareness and offer more vivid and memorable experiences. Our favourite aspect of being on the road and living in the bus is meeting people we wouldn’t have the opportunity to get to know otherwise. “The bus is unique enough that people are drawn to approach it, pop their head in to say hello and chat for a while. People everywhere have been warm and kind and hospitable. We’re so refreshed and optimistic because of the people. “Fern is a beast and we’ve taken extra measures to make sure everything is tuned up and working properly. 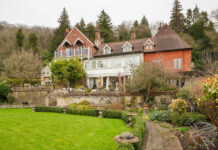 “There weren’t any particularly big problems with the build, but the entire process was a steady stream of problem solving, engineering and decision-making. The couple wake up in the morning as the sun rises and then explore where they are by hiking, cycling and paddling. “We’re incredibly grateful to be living out this chapter of our lives and encourage anyone who is drawn to this lifestyle to go for it,” he said. “People have been incredibly kind and complimentary. 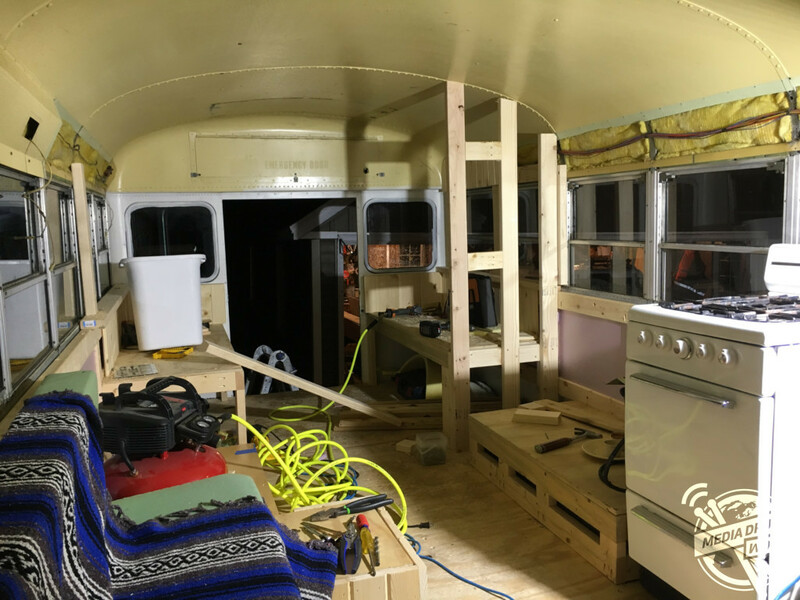 Most people have ridden a school bus at some point in their lives, and not many have ever imagined how one might be re-purposed.